Lips often easily become dehydrated because they are exposed to multiple factors. Besides hydration and external treatments is also important nourish from inside. The skin of the lips is really delicate and daily exposed to all kinds of aggression from the sun to the cold, through food and hot drinks or makeup. Often it resent and starts having an unhealthy appearance. 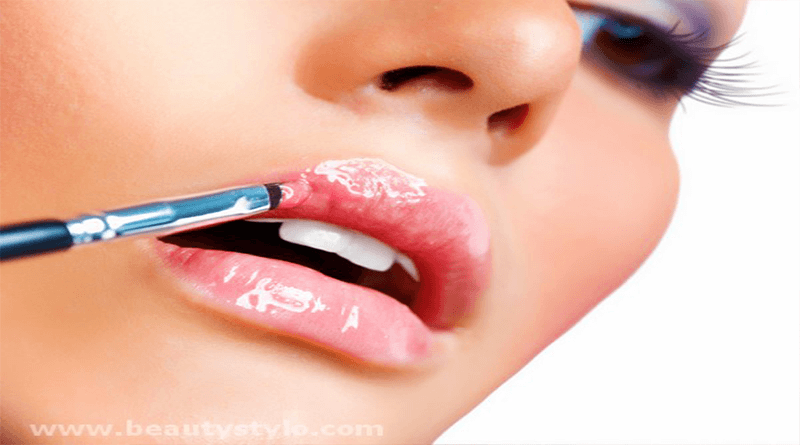 In the following article we tell you some tips and recipes to moisturize lips naturally. Chapped lips, can be prevented? Since the surface of the lips does not have the same protection as the rest of the body must help externally. For example, our lips have no sebaceous glands that “light up” when the area is dry. Nor it has a mechanism that prevents moisture to evaporate. Moreover, they have a considerable amount of melanin and therefore are more vulnerable to UV by excessive exposure to sun rays. If we add to this that are in the first line of contact with environmental pollution and weather conditions (wind, cold, rain, heat, snow, etc.) it is not difficult to understand why they hurt and dried so easily. Dehydrated lips may also be due to other issues such as, for example, an unbalanced diet, food allergies (citrus, especially) or using some toothpastes that contain chemical ingredients. The facts always wear lipstick can help dry out and lose their moisture. Age may also be an important factor health of our lips. Common symptoms are redness, scaling and sensitivity. Some people also experience pain, swelling and dryness. Sometimes there may also be fragments of dead skin “hanging” and greatly hurt when trying to remove them. The following home recipes will help you shine pretty and healthy lips worthy of a lipstick advertising model. No need to spend more money on products, gels and creams. Oiliness of this premium oil helps to improve skin anywhere on the body. In the case of the lips it has a special effect because they also provide shine and softness. It also has the ability to repair skin tissue. If you want to enhance the effects of olive oil on your lips we recommend that you mix with avocado pulp to achieve the perfect formula. Open the avocado in half, remove the bone and with a spoon takes out the pulp. Mash well and add olive oil. Apply on the lips in a circular motion. Let stand about 20 minutes and then remove with warm water. Instead of drying with towel better allows air to take care of it. Other oils that can be used to improve the appearance of your lips are the almond. No wonder understand why it is one of the essential components of many beauty products. If you also combine it with beeswax get a perfect balm because it is very beneficial for the skin. Beeswax put in a saucepan and heat until melted. Check almond oil and stir well. Let cool (without allowing it to solidify). Spend lips and, when dry, removed with a cotton swab dipped in warm water. Repeat a few times a week, always at night. This is an excellent home scrub that within minute’s lips as new will leave no dead cells or imperfections. So that the effect is greater than we suggest you mix it with honey. In a bowl place the sugar and add the honey. Stir well for a grainy paste. Rinse with warm water and remove with circular motions to massage the area. The gel or pulp of this plant has many properties that we can enjoy for superior beauty of our lips. Aloe Vera has anti-bacterial capabilities and also hydrates and protects the skin. Combat cracked and chapped lips while repairing damaged cells. This recipe is as simple as opening longitudinally a stalk of aloe Vera, remove fluid inside and go through the lips. Do not rinse: better than aloe penetrate the layers of the skin and do its job. Insurance have ever used (or seen in magazines) cucumber for your beauty. It is usually used to relieve eyestrain or reduce dark circles and bags. However, this plant is also very good to moisturize and refresh all skin types. Its cooling properties make lips feel rejuvenated in a matter of minutes. You can cut slices and support skin or prepare a kind of mask. Cut cucumber slices and chop as small as possible. Put in a bowl with the yogurt and mix well so that you have left a cream. Apply on the lips and let act 15 minutes. Remove with fresh water and, if you want to dry, used a soft towel and taps.